While visiting the U.S. Embassy in Saigon, Congressman Harley O. Staggers, Sr. was given a map displaying the areas of conflict in Vietnam as well as an economic map of Southeast Asia. The map also includes a timeline of the conflict, ranging from 1945-1965. C.S. Hammond and Company. 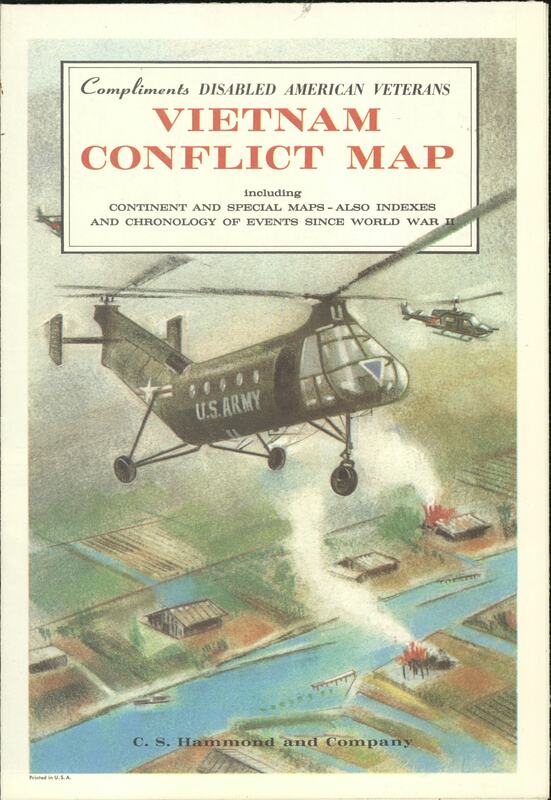 "Vietnam Conflict Map." Harley O. Staggers, Sr. Congressional Papers. Accessed 19 April 2019. http://acsc.lib.udel.edu/items/show/332.